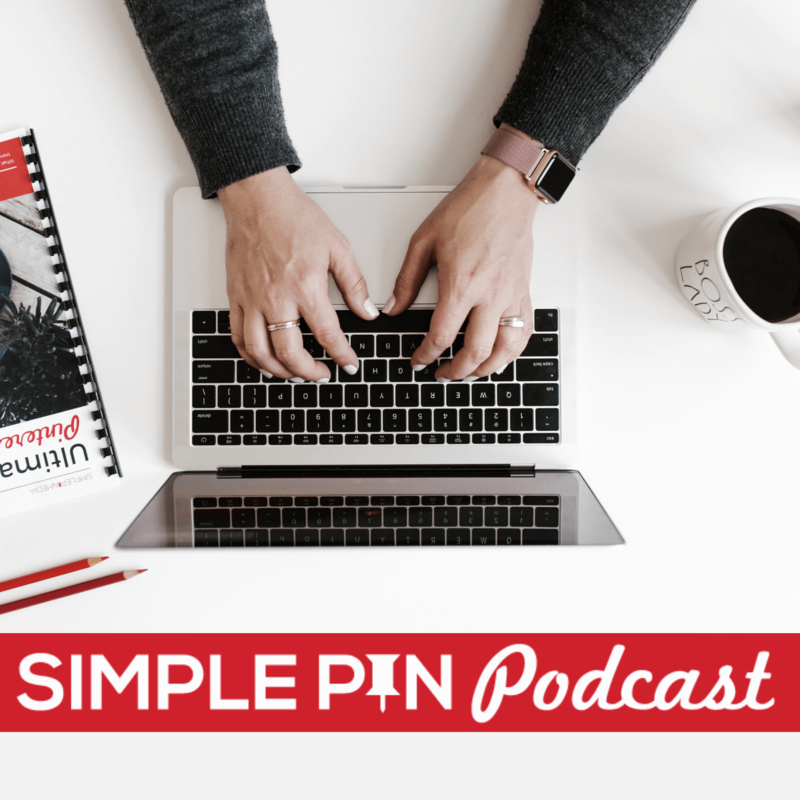 Angela Davis shared so many helpful tips in episode five on building your email list using Pinterest that I wanted to bring her back to talk about something else she excels in — gift guides! In this episode, we are talking about using Pinterest to boost your holiday traffic by creating gift guides. The first guide was published back in 2012 on Frugal Living NW. The main focus of that guide was on white elephant gifts. If someone needed a white elephant gift, they could look at our list of items, then click right through to Amazon and hopefully purchase the item through our affiliate link. Not only that, but if they purchased any item after clicking through, we would get the affiliate credit. After that first guide was so successful, the next year we really niched down and came up with different types of gift guides to try and see what our readers responded to. Then in 2014, we realized that our readers weren’t the only people to consider. We decided to try to reach as many people on Pinterest as possible. If we could have people running into our gift guides on Pinterest, we could see even more success. After that, things kind of went crazy and now Angela has over 20 gift guides on her site. Here’s how we begin the process of creating gift guides. First, think through the types of items you can and want to promote. What are your readers interested in? What problems are you solving for your readers? What do they need help with? Are you serving women in their 20’s who need to purchase Christmas gifts for family and friends? Or is your audience made up of men in their 50’s who need gift ideas? Know who your readers are and what their needs are. Make a list people who are in your target audience that you can help with a guide. What do you have expertise in? Angela blogs on the topics of budgeting, frugal living, and frugal fashion; creating a gift guide in any of those areas would be natural for her. But don’t stop there. Move beyond your blog topics to things you are actually an expert in. If you blog about frugal living and budgeting, but you are passionate about tent camping, then you should create a gift guide for tent campers. Remember that you are trying to reach beyond your blog readers to the general population on Pinterest. If you are concerned about maintaining your brand and you don’t want to put up a post on a topic that is way off base from your usual topics, you can always make a separate page for your gift guide and promote that specific URL on your social media channels. What products do I personally use and love? Ask your real life friends for recommendations. Do online research using Google or Pinterest. First of all, you want to promote sites that are familiar. It is unlikely that people will make purchases from sites they aren’t familiar with. If you find some amazing product that you really want to promote on a site that is not as familiar, or maybe the shipping is outrageous,then give your readers the reason why. You don’t want to give people a reason to abandon their cart. Amazon is always the first choice for affiliate links. Most people are familiar with it, many already have a Prime account there, and Amazon has made it very simple to make purchases on their site. The likelihood of someone purchasing an item through an Amazon link is much higher than any other site. Another thing to consider is the importance of setting the Amazon cookie. What does that mean? It’s simple – for 24 hours after clicking through your Amazon affiliate link, you receive the commission for any purchase the buyer makes. The final reason for choosing Amazon as your primary site to link to is that Amazon’s commissions are typically higher than other sites if you are selling a lot of products. One of your most important strategies should be to promote much smaller, more inexpensive products that people will be more likely to purchase, because your commission rates go up based on how many products you sell, not the dollar amount of products you sell. If Amazon does not have the product you want to promote, then use another well-known site. These would include sites like Wal-Mart, Target, Kohl’s, Nordstrom, etc. For handmade items, use Etsy if you possibly can. These are all well-known sites and have built trust with consumers. Apply for new affiliates. If you find a product you love and want to promote, then apply to be an affiliate for that product. Reach out to people and ask if they have an affiliate program. If they don’t, who knows but they might create one because you asked! Pursue retailers or brands. You can ask them to give you a product in exchange for putting that product on your gift guide. The amount of work involved in reaching out to companies, receiving the product, and writing a post about the product can be extremely time-consuming, so Angela doesn’t recommend this tactic unless you truly love the product. Blog to make money, not to receive products. When you are creating gift guides, be sure to include commentary. You don’t want someone coming to your site and just being hit with a post full of links. They have zero reasons to click on any of your links if you haven’t told them why they should. Give the pros and cons of the product, who it will work best for, ideas for who to gift it to, link to other posts you have on the topic. Keep your number of items small. This is best for several reasons. First, nobody wants to even click on a post that says something like, “80 Christmas Gift Ideas for Kids.” Second, it makes for an attention-grabbing Pinterest graphic. “10 Best Board Games for Preschoolers” is attention-getting post title. Be specific in your recommendations. Don’t recommend Legos. Talk about which line of Legos your own child loves, and link to specific products within that line. If it’s Star Wars Legos, tell your reader exactly which set to start with for the age range in your gift guide, and link to that set. People don’t want to think…just tell them what to buy. Include a wide range of products for different budgets. Even if your readers are very budget conscious, like Angela’s are, you are trying to attract the general population on Pinterest; keep in mind that these people will be coming from various backgrounds and financial situations. When creating your Pinterest graphics for your guides, be sure to have a link at the bottom of the graphics to your gift guides page. And at the bottom of that page, link to all of your other gift guide pages. See example. 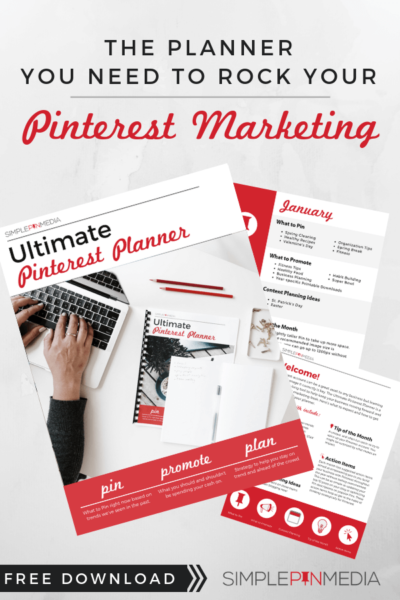 Angela also creates graphics for Pinterest that are general gift guide Pins. These will lead directly to the overall gift guide page on her site. These are very photo heavy Pins, with just a few words. This year, Angela plans to create a custom sidebar on her site, and when a visitor clicks on that, they will be taken to the page with all of her gift guides. If a Pinterest user comes to her site looking for gift guides, she doesn’t want them to see her usual sidebar on Grocery Price Points for 2016. Rather, she wants to fulfill their desire for gift guides. Sometimes, an older post will start gaining traffic for some reason. Maybe it’s a post you just slapped together; maybe it’s ugly or needs some serious updating. Whatever happens, engage that traffic. Update the graphic, clean up the post, do what you need to but don’t just do nothing! Ask yourself why people are being drawn to the post and how you can serve them better. Figure out what problem the post is solving for them, and then go further and help them solve even more problems related to that. People are not offended by you helping them; they are thankful! As the holiday season approaches, then you can go into the post itself and update just the title to contain the current year. Also, be sure the word Christmas is not in the URL. Think strategically about your URL and your post title. In order to know exactly how much money you make, especially from Amazon, from your gift guides, go in and create a unique tracking link from your Amazon associates account. All of her gift guides use the special tracking link, so she can see at any time not only how much she has sold through her gift guides, but also what she has earned. She can also see which products people are buying, which gives her ideas on new items to include on an updated guide. If you create something of quality and you promote it well, that is passive income. Did this episode blow your mind and you’re looking for more? Angela created the How to Master Gift Guides — A comprehensive strategy for creating gift guides to boost page views and make money. She lays it out step-by-step in her guide helping you to create and execute gift guides RIGHT NOW! You’ll be ready in time for this holiday season. Plus, she’s including a special 4-week private mastermind group to help walk you through the process, ensuring your set up for success. Sign up for the How to Master Gift Guides course here. 6:20 Who is your target audience? 7:35 What do you have expertise in? I love making gift guides for my readers! It helps increase my revenue for my blog, and readers can find the hottest gift ideas to buy for their kids and other loved ones. I actually just published a gift guide for bloggers this morning! I LOVE gift guides. The challenge of creating them is so fun and I love to see what people actually buy. I’m curious about what you would suggest for a person that is an independent consultant for a particular brand and wants to promote and sell that product. Will gift guides still work? Valerie: Definitely! I would include links to other items that complement your product line. So, if you’re selling jewelry, show one of your necklaces along with a cardigan from Target and lipstick from Ulta. If you’re selling essential oils, include a link to your favorite magazine subscription on Amazon or a CD of the best music to play while you’re relaxing. 1. Serve your reader well by providing variety that your direct sales company certainly doesn’t provide. 2. Make you look more reputable and not spammy since you’re not just replicating your catalog. 3. Increase your income as you’re setting cookies left and right :). That’s a great topic, Kecia! Why is multiple pinterest images key in each post? I think I need a reality check on what spammy pinning means. Can you give out #’s?? Is it better to pin 3 different images in one week to the same post vs. the same image 3 times in a week? Is 3 times a week too much? I need a good “rate” to pin to the same post. Multiple images are key because you can pin those three different images for the same post in one week and it looks different. However, I often pin 3 of the same images in a week and I don’t feel like it’s too spammy. As long as you’re curating content from other sources and pinning more of your content, you’re good. Thanks for creating this wonderful podcast! I finished listening once, but I’ll definitely go for the second time. I saw many bloggers post gift guides with high quality product images. I have amazon affiliate account and amazon gives product image with html codes that I can put on my site. However, do you have any idea if the product image (high res.) is not available on amazon, where do you find images? You can find them by looking on Google under images. There may be another website selling the product that has an image. Hello. I loved this podcast. It was very informative. I just launched my new website and wanted to create gift guides. Can you please suggest some templates or easy platforms to use to actually create the guide? My website is on Squarespace and I have Mail Chimp also. I’m a beginner, so any step-by-step tutorials/help would be greatly appreciated! Thank you! I have a podcast going up tomorrow night about this and starting out! Be sure to listen. Way to go!!! Love this. I was wondering if you could help me with images for gift guides? If you just cut the image from a store’s site, is that a copy right issue? I feel like that is what I see people doing but I don’t k is if that is the right thing to do. Thanks for your reply- just found your site and podcast. Love it! So much awesome info. It’s best to go with a stock image for the gift guide. There are some that do it and for big brands it’s not usually an issue since you’re selling their product, but with smaller companies it’s best to first ask or just avoid using it.